White shirt. Black coffee. Nine o' clock meeting. The stage is set for a spill-related snafu. 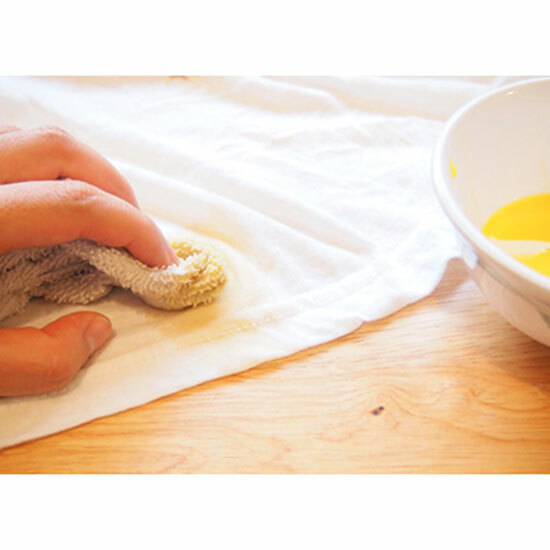 The next time you find yourself with a gnarly stain, try this…egg yolk trick. What you do: Separate the egg whites from the yolk, then combine the yolk with a spoonful or two of warm water and a splash of rubbing alcohol. Beat the mixture with a fork to thin out its consistency, then use the washcloth to blot it on the coffee stain for about 30 seconds. Rinse with warm water and the stain should be gone. Why this works: Coffee is a water-based stain. The yolk mixture will attach to the particles and lift them right off. So? Get going already — your shirt will air-dry in the car.